Just follow these easy reservation steps to reserve your wedding date. Please feel free to call us for assistance. Contact us through our Contact Form or by phone at 808-874-8755 to check on the availability of your wedding date. Look over the packages and any optional services on our website. Call or email us if you have any questions or would like some expert advice. We love sharing our knowledge with you! Decide on a package and any optional services you’d like to add to it. To reserve your wedding date, fill out the Reservation form on our website and request that an invoice be emailed for the deposit. The deposit is $300 or 20%, whichever is greater. A contract and itemized invoice will be emailed to you to be signed electronically. A payment invoice for the deposit will be emailed to you with a link for payment online. Submit your deposit with any major credit card. Your wedding date will be confirmed upon receipt of your deposit. Decide on the final details such as color of flowers and type of musicians. 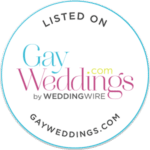 After all of the vendors have been confirmed, you will receive an email with about a dozen documents detailing everything you’ll need to know about your wedding and marriage license appointment, including instructions and directions. Then just relax and look forward to your romantic wedding on Maui. It’s that simple!